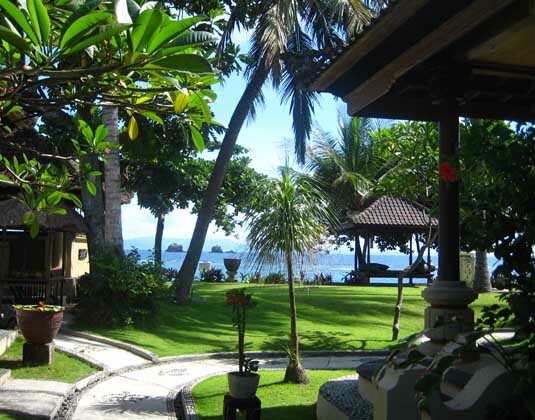 This ocean front resort sits amidst beautiful gardens and swaying palms, overlooking the crystal waters of the Indian Ocean. 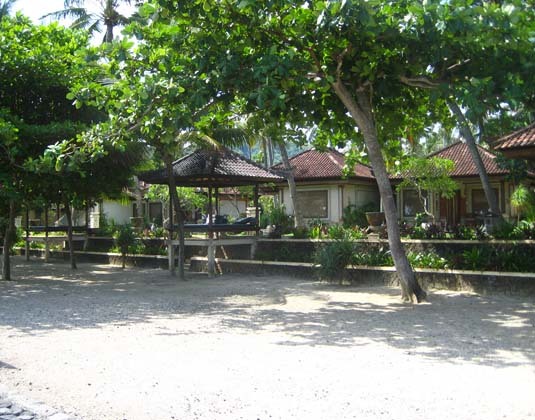 Close at hand you'll discover local restaurants while Candi Dasa itself is within a ten minute walk. 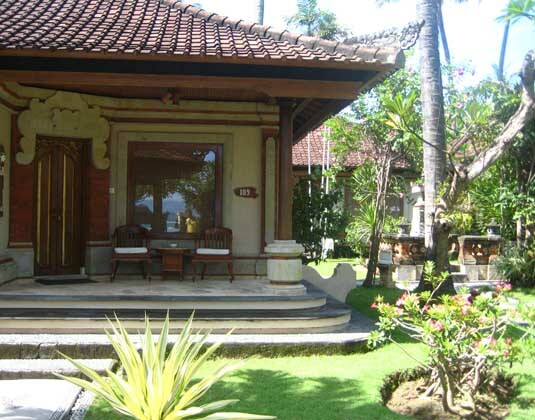 Traditional and tranquil, it's a lovely spot to unwind. 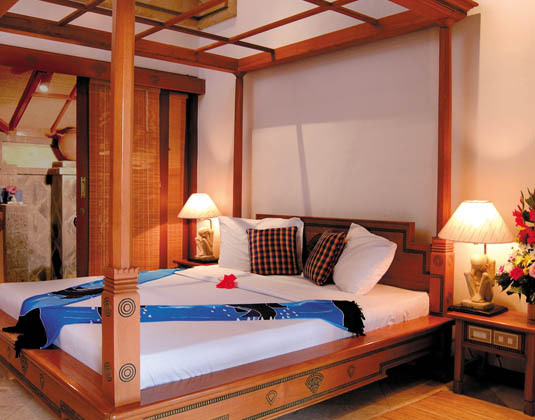 In deluxe garden villa rooms with air-conditioning, open-air garden bathroom, mini bar and terrace. 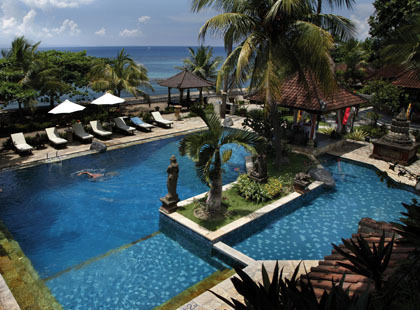 1 hour 30 minutes from Bali airport. 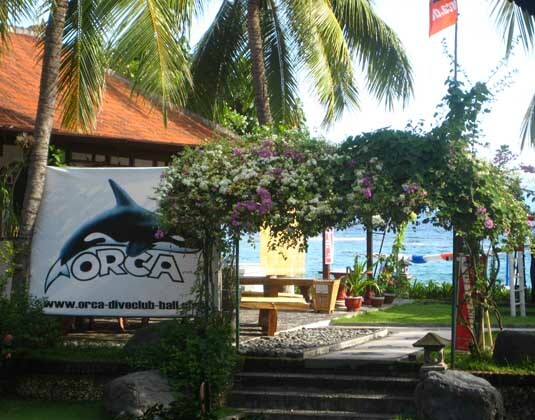 1 Apr 19-31 Mar 20 Welcome drink on arrival, free scheduled shuttle transport to Lovina or Candidasa area, 2 daily afternoon tea/coffee at cafe/bar area 3.00pm-4.00pm, daily seasonal tropical fruits, free WiFi. 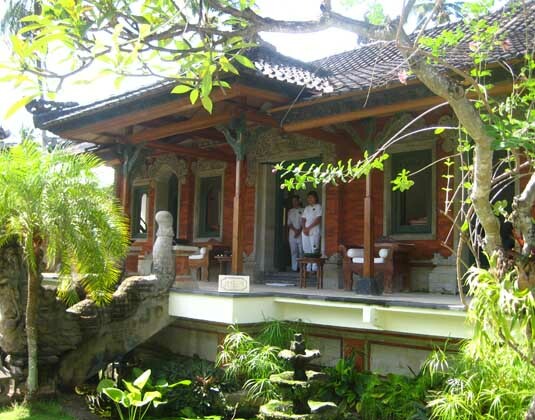 01 Apr 19-31 Mar 20 if you stay at least 3 nights receive one set menu lunch based on the day for maximum of two persons, stay 5 nights or more receive one set lunch based on the day and x1 60 minute Balinese massage for maximum of two persons.